Wonderful new Cultural Complex is about to be built in one of the biggest cities in China, Shenzhen. Designed by Mecanoo Architecten, this piece of modern architecture is gonna be definitely one of the landmarks of Shenzhen. 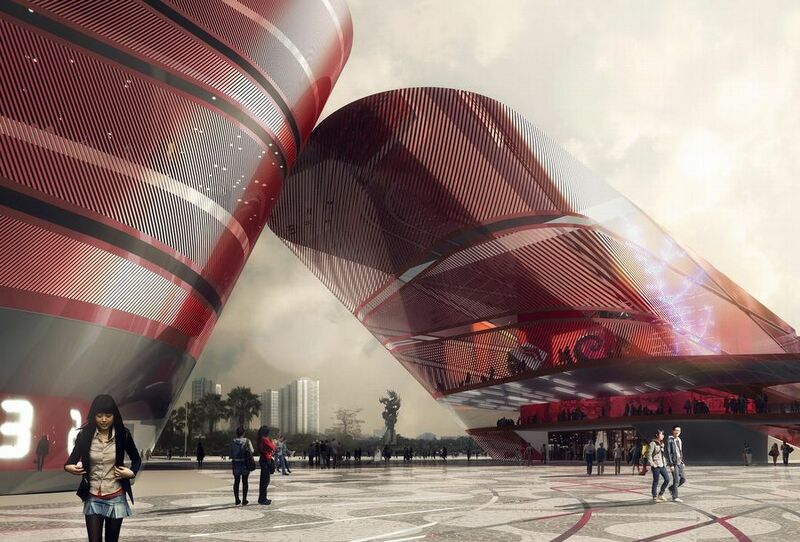 The whole cultural complex is going to be built on area of 83,500 square meters. 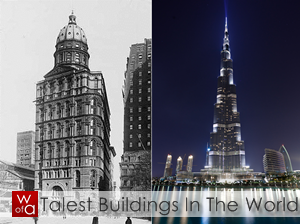 Design competition winners were announced in 2011 and construction should begin in 2012. Complex is set to be done by 2014. 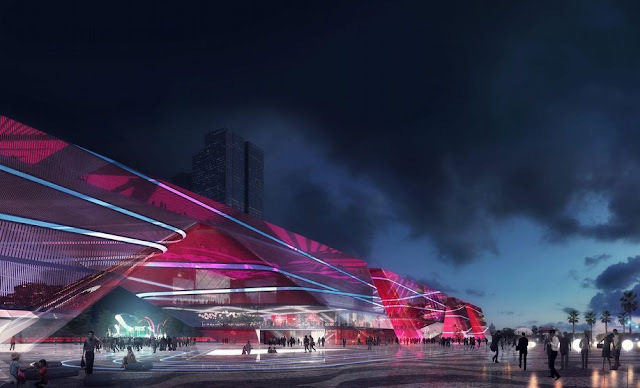 "Mecanoo designed the winning competition entry for a new 83,500 m2 cultural complex with a public art museum, science museum, youth centre and a bookshop, public square and parking in the Shenzhen district. 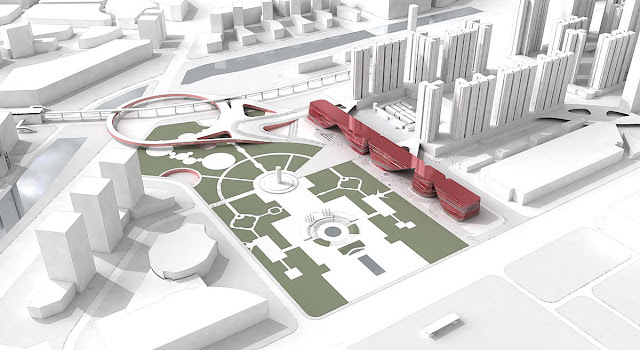 The new cultural and commercial complex will provide the district with its own landmark and destination and transform the existing Longcheng Park into a lively destination point. It will form a dynamic link between the commercial business district, a formal park and gardens and one of the district’s main thoroughfares. The new museum complex will unify the evolving urban fabric and generate a vibrant downtown. Connecting the cultural complex with the surrounding areas and new residential development was the key consideration for the design. 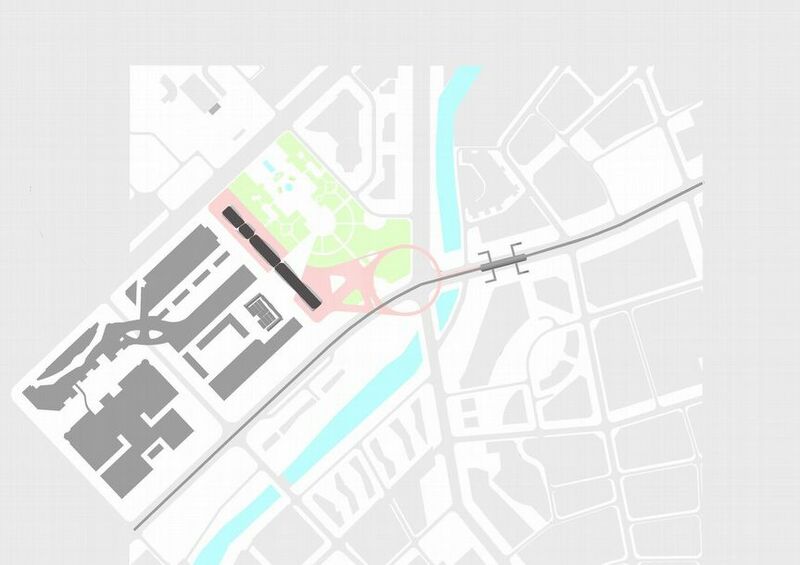 The linearity of the existing urban masterplan created a barrier between the western development area and Longcheng Park, further cutting up the area and contributing to its lack of urban vitality. Longcheng plaza will become a lively square which will further strengthen the quarter’s identity and provide residents and visitors with a much needed sense of place. Four building volumes emerge from the ground to create a series of arches and sheltered public event spaces which frame the central square. Rounded shapes respect the natural flow of pedestrians through the site. These open arches serve as filters, attractors and reference points and allow the building programmes to expand outside while formally symbolising openness and connection. Different programmes strategically located on the ground floor open outwards into the exterior public space including the city in the exhibition. From within the building interior, two bridges will link to the commercial plinths of the new residential area. Cultural and commercial programmes are linked to contribute to an urban symbiosis."